It's not quite sunny in LA and that's just how vampires like it! Police snipers are on high alert however. 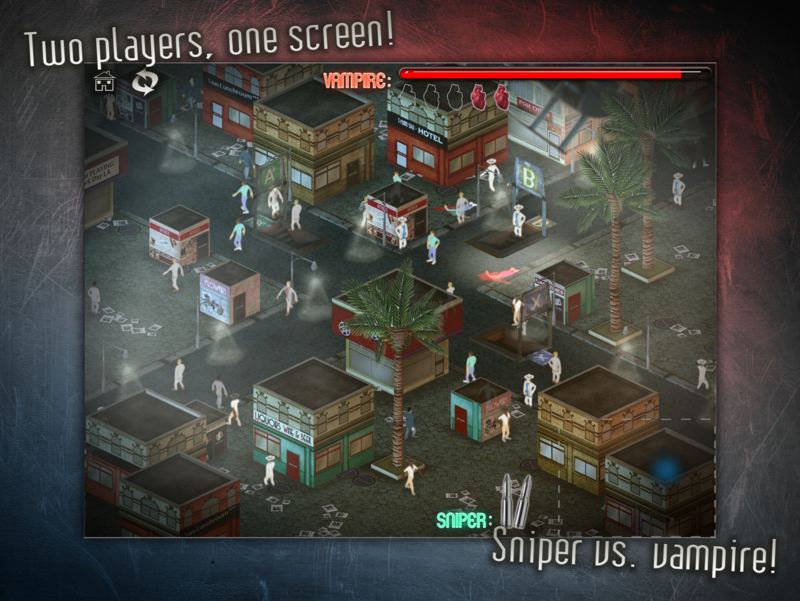 Dark Day LA is played by two players simultaneously on one iPad. One player assumes the role of a vampire, the other is a sniper. As the vampire, you're walking in the streets of Los Angeles and must try to make victims without getting noticed. 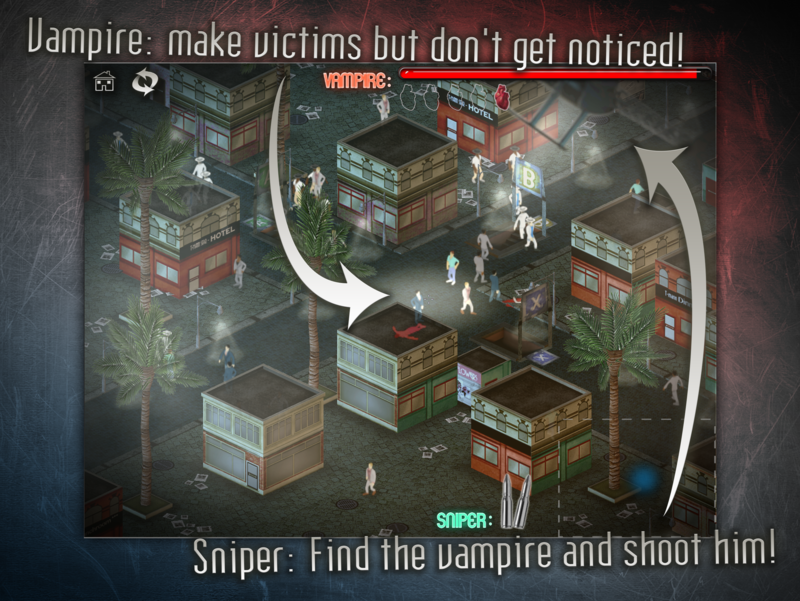 As the sniper, you're observing the crowd and must try spot the vampire and take him out. The unique controls in Dark Day LA are highly intuitive and give you very precise control over the vampire or sniper's crosshair. Play in full screen if your opponent is sitting next to you, or use the split screen mode if you're sitting across each other. 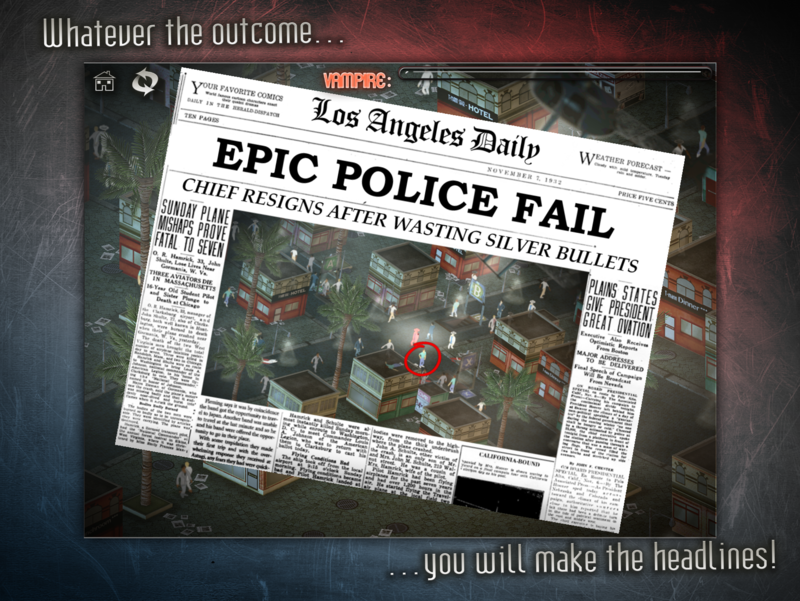 Dark Day LA is the perfect multiplayer game and it requires nerves of steel. Are you able to deceive your opponent sitting only inches away from you? Can you spot your opponents suspicious movements before too many victims are made? Download now! Dark DAY LA is born at the Global Game Jam 2013 in Hilversum, where we (Tom, Thomas, Manuel, Maarten, Valentijn, Bob) created the game around the theme 'heartbeats'. We had much fun creating the game and we won both the public and jury award for best game at Hilversum. From that point Tom and Thomas continued on development and business. The game has been rebuild for iPad and we took Gamious as the publisher to release the game and show it to the world. During development we also created a demo for Philips new pointing device, moving DDLA to Indigo @ Gamescom in Cologne and Utrecht, finally, hitting the release in November on iPad. August 2014, Millionviews continued publishing DarkDayLA. Dark Day LA @ Dutch Game Garden, DDLA has been featured at Indigo 2013 Gamescom and Indigo 2013 Utrecht dutchgamegarden.nl. Dark Day LA @ Dutch Game Garden dutchgamegarden.nl. 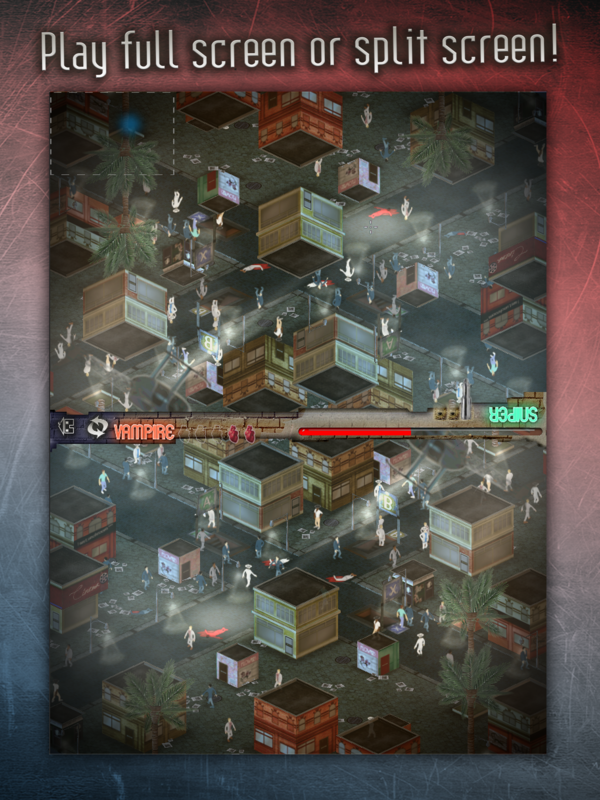 Dark Day LA featured at control online during Global Game Jam control-online.nl. Dark Day LA featured at control online about the Philips showcase demo. control-online.nl. Dark Day LA featured at control online announcement control-online.nl. Dark Day LA @ GGJ 2013 2013.globalgamejam.org. DDLA @ Telegraaf, one of Dutch biggest newspapers telegraaf.nl. Gamious and DDLA has decided to part ways gamious.com. This is Millionviews! A one man band show providing full 3d services and a lot of multimedia experiences including games! More information on Millionviews, our logo & relevant media are available here. Part of the orginal Global Game Jam team!